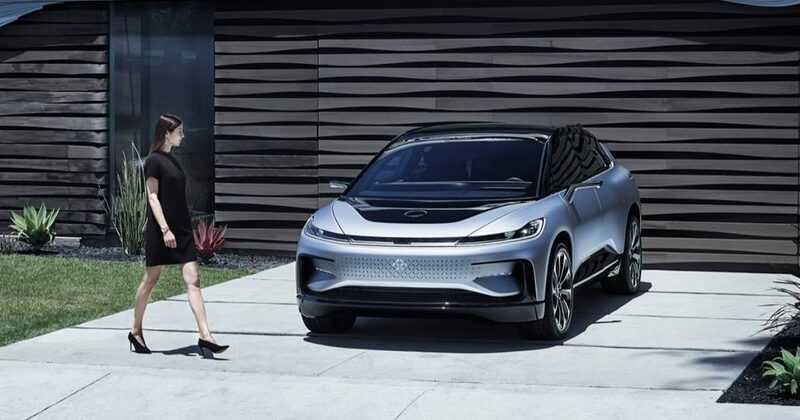 Faraday Future (FF) announced that it has confirmed the $2 billion (USD) of first-round equity funding following Committee on Foreign Investment in the United States (CFIUS) approval. This marks a major milestone for FF to achieve its vision of delivering a clean, intelligent, connected and shared global mobility ecosystem. Yueting (YT) Jia, the founder of FF, will also officially be taking the role of FF Global CEO. On November 30, 2017, Season Smart Limited entered into an investment agreement to invest $2 billion (USD) into Faraday Future. FF also welcomes Evergrande Health Industry Group Limited (Evergrande Health), a Hong Kong Stock Exchange listed company (0708.HK), to be their newest strategic investor and shareholder after the share transfer of the ownership of Season Smart Limited to Evergrande Health. The transaction was closed after completion of review and investigation by CFIUS. From what was an American new electric car startup challenging Tesla to become one that is majority-owned by the Chinese amidst the trade tariffs debacle between the US and China at the moment. Still, cash is better than no cash and this helps Faraday Future to fulfil their dreams of getting the FF 91 into production. FF will continue to use the committed funds to accomplish their top priority – finalizing the development and delivering the first production vehicle, FF 91 to both US and China markets. The investment will also support Faraday Future to expand its product pipeline, develop cutting-edge technologies and grow the business rapidly in the global marketplace, including their manufacturing facilities in Hanford, California and in Guangzhou Nansha, Guangdong Province, China. FF 91 is Faraday Future’s first production vehicle and flagship model. It embodies their latest advancements in performance, intelligence, connectivity, and user experience. It represents a bold new species of electric mobility – a super car robot and a third internet living space – that symbolizes what it means to break the boundaries. FF 91 is a full-size luxury crossover EV with estimated 0-100 kph acceleration of 2.39 seconds and an expected range up to 608 km (EPA test cycle). The car is equipped with over 30 smart sensors and a motion-enabled 3D LIDAR that enables valet parking, facial recognition, and seamless entry, among other advanced technology. 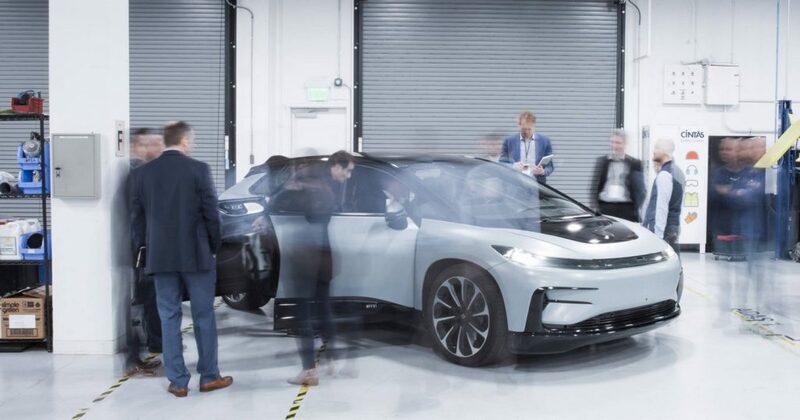 The nearly two-year-long road tests in the US indicate that FF 91 is fully equipped with the conditions and advantages to go into production and lead the EV industry. Faraday Future (“FF”) is a California-based global company focusing on the next generation of intelligent mobility ecosystems. Established in May 2014, the company is headquartered in Los Angeles with R&D centers and offices in Silicon Valley, Beijing, Shanghai and Guangzhou. FF is poised to break the boundaries between Internet, IT, creative and auto industries with product and service offerings that integrates new energy, AI, Internet and sharing, continuously transforming the mobility of mankind. FF’s 1000+ employees bring experience from the best-in-class companies spanning across consumer electronics, auto, internet and energy industries. 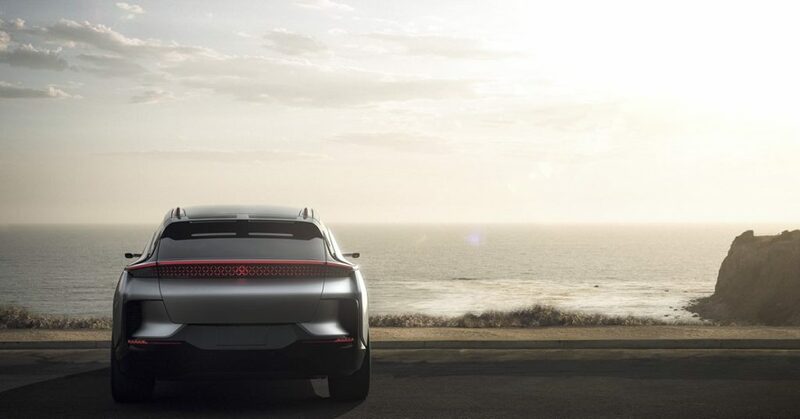 With over 4 years of R&D development, the FF team has achieved milestones with unprecedented speed, having successfully turned the original product concept into FF 91 into a production ready vehicle in approx. 2.5 years. FF is a global intelligent mobility ecosystem company encompassing new energy, AI, Internet and sharing. FF has brought to life three product revolutions – an “all-in-one” car, a third internet living space and a super car-robot. The company has developed six technological revolutions, including vehicle platform, computing platform, autonomous driving, powertrain, Internet and AI. Evergrande Group is one of the world’s top 500 enterprises that is based on real estate for people’s well-being, focused on cultural tourism and health preservation, and actively explores the high-tech industry. In 2017, it realized total assets of RMB 1.76 trillion, annual sales of RMB 501 billion, annual profit and taxes of RMB 79 billion, and had 127,000 employees; as of 2017, it had provided jobs for more than 2.2 million people and ranked 338 among the world’s top 500 companies. Evergrande Health is a Hong Kong-listed company wholly owned by the Evergrande Group. We believe that the strong strength and rich experience of Evergrande Group and Evergrande Health will also provide all-around support for FF in all aspects and help the company achieve significant development.